Publications – ITER – Instituto Tecnológico y de Energías Renovables, S.A. In this section you will find the annual reports of ITER’s activities; a leaflet produced to mark the institute’s 25th anniversary; and the issues of our quarterly news bulletin “LessCO2”, up to 2015. 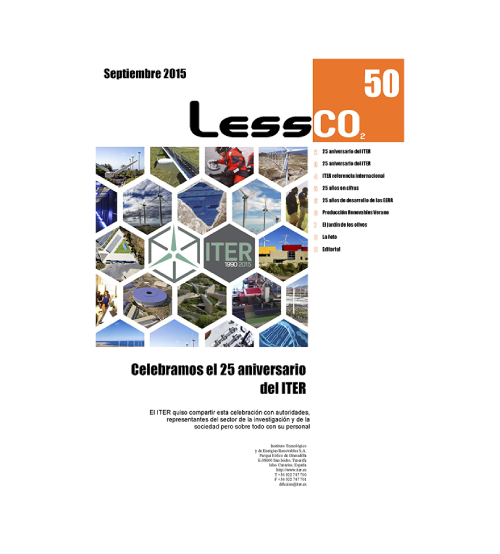 LessCO2 was launched as ITER’s news bulletin in March 2003. Since then, a total of 51 quarterly issues have been published, the last being that of September 2015. From 2016, with the launch of an electronic newsletter, ITER stopped publishing the bulletin. 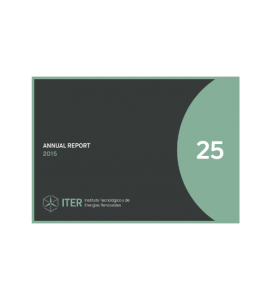 ITER’s annual report in PDF format. This document describes the main activities and projects undertaken by ITER during the year, as well as the institute’s main financial results, among other data. 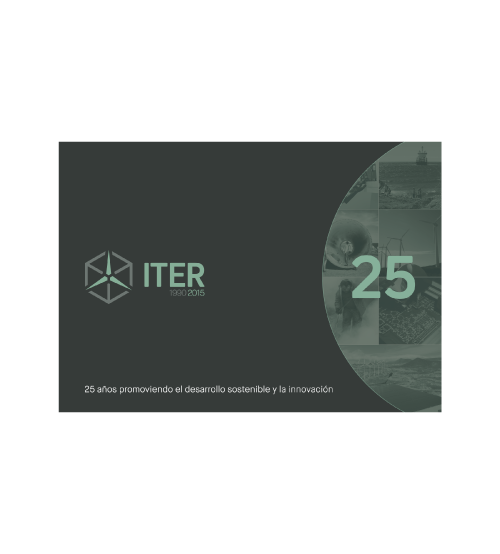 A corporate leaflet in PDF format, produced to commemorate ITER’s 25th anniversary, and which provides a general picture of the history and evolution of the institute and of its areas of activity since its launch in 1990. The leaflet was published in September 2015.